Women with endometriosis are at increased risk of also having irritable bowel syndrome or pelvic inflammatory disease, according to findings from a large study conducted in the UK. Dr. Karen D. Ballard, identified 5,540 women aged 15 to 55 years who were diagnosed with endometriosis. They matched these “case” patients to 21,239 control women without endometriosis. They found that women with endometriosis were at significantly greater risk of having a diagnosis of pelvic inflammatory disease before and after the date on which endometriosis was diagnosed. Similarly, a diagnosis of irritable bowel syndrome was more likely before and after a diagnosis of endometriosis than among controls. “If there is coexisting pelvic inflammatory disease, then this needs rigorous treatment to reduce the risk of even greater subfertility,” the researchers conclude. “Appropriate management of irritable bowel syndrome (irritable bowel syndrome diet) may reduce endometriosis-related bowel symptoms,” the researchers say. 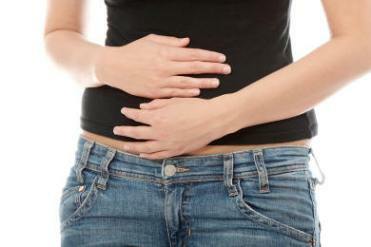 However, doctors “may not recognize that women with endometriosis get bowel symptoms,” Ballard told.